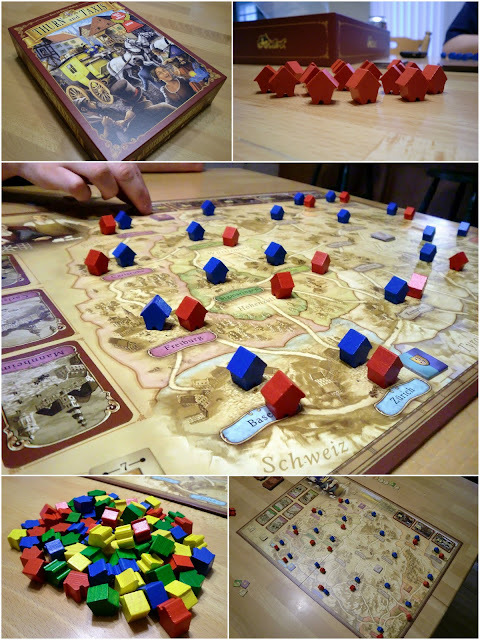 As promised, here are photos of the new game Brad & I bought, which we love. Shannon, I bet you and Joel would love it. They have expansions for it too!